Editor’s note: Contributing editor Saeyoung Park files this post from on the road, following her attendance at the Association for Asian Studies annual conference in San Diego. — one of the major right-leaning newspapers in South Korea — contextualized the diplomatic drug dealing within a broader history of DPRK state-sponsored trafficking, referring to the existence of a Work Unit 39 that has purportedly been responsible for the export of “some of the best quality meth worldwide” to Chinese markets. The Washington Post blog post has drawn enough attention in the current tense phase of peninsula relations, that the official DPRK news agency, the Korea Central News Agency (KCNA), has directly attacked the Washington Post and the blog post’s author, Max Fisher (see Fisher’s response). At this point, little in the news would probably surprise readers about North Korea. And that, actually, is a problem. When there is very little chance that any narrative about North Korea, no matter how strange it might be, might strain our credulity, it suggests that the DPRK now occupies an extreme place in our global imagination—a position beyond rationality and self-interest. If we are mentally at the point where all possible reports that might emerge about North Korea become equally plausible, then discretion and judgment become impossible. In other words, that Spidey sense that makes researchers’ noses twitch when faced with a story that seems just a bit too perfect or too bizarre becomes numb, and further research and inquiry becomes unnecessary. Max Fisher’s response to the overwrought KCNA diatribe is understandable. Logically speaking, the rightness or wrongness of the Fisher/Washington Post-KCNA fracas has little to do with the original claims being made about DPRK diplomats in the Chosun Ilbo. 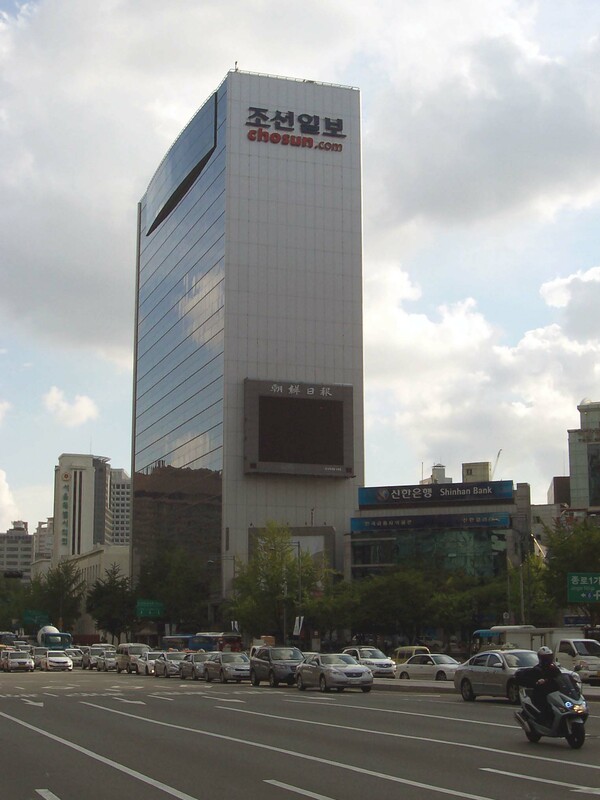 The Chosun Ilbo building in Seoul. There are some discrepancies between the Korean version of the Chosun Ilbo article and its English translation that highlight some of the ambiguities in this report. Reading the report in Korean, one is more likely to notice the lack of specificity about the type of substance that might be in play. There is also a suggestion that the drugs are not the only commodity (“마약등”) in question. Details are thin—the defector is only named as a Mr. or Ms. B (B씨) and the target nation is also referred to as Eastern European country A. Given the possible ramifications for the defector and their relatives, such anonymity is understandable. 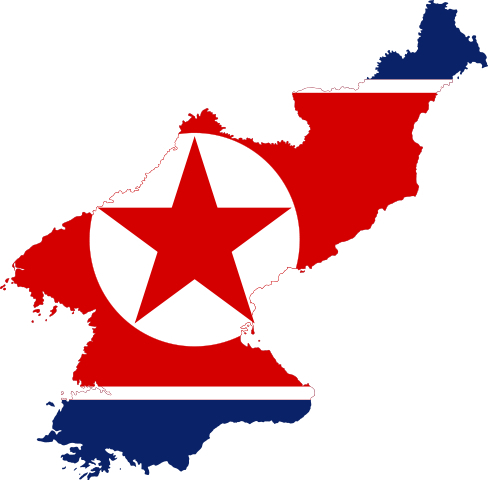 However, there is little naming of South Korean institutions or government departments, rather than vaguely named “state authorities,” that are offered to substantiate the claim that a DPRK Work Unit 39 is responsible for flooding Chinese markets with high quality meth. There are no sources, anonymous or otherwise, that are cited to support the side claim that drugs found in South Korea are originally from North Korea by way of China. Given the paucity of details, and the weight of these claims, is this scenario of drug dealing diplomats plausible given the available information? Well, if we assume that the “drugs” might be street narcotics (and not prescription medicines) of higher value, such as fairly pure heroin or cocaine, and broadly draw upon UNODC numbers, then the figure of $300,000 seems to be within the realm of possibility. Furthermore, the sanctions against North Korea have negatively impacted the flow of foreign currency and state cash reserves, making a “drugs-for-USD” order comprehensible. However, it is unclear why diplomats would be used in this scenario, as they are highly visible official representatives of a state with dwindling global support, and where discovery of their complicity would create tensions between the DPRK and its few remaining friends. Also, since the Chosun Ilbo report notes that the diplomats were to meet smugglers who were bringing in the drugs, the diplomats are not being used as mules. Also, diplomats, as public and known DPRK persons, face significant disadvantages as monetary agents, as sanctions have financially ostracized North Korea. Since 9/11, the US has actively instrumentalized banking regulations as a regulatory tool in international relations, and it has become very difficult for North Koreans to transfer funds anywhere. There isn’t enough room here to discuss this fully, but suffice it to say that the US has transformed its dominant position in the world financial system as the guardian of the default currency of global finance—the greenback—to pressure banks worldwide against dealing with North Korean actors. So putting aside the challenge that amateurs (diplomats) might face in executing transactions in an unfamiliar business, the greater problem might be in exchanging local currency to USD. Transferring the funds (given in Fisher’s post as an estimated $3m) would be impossible to do through an Eastern European bank that wanted to continue to exist within the global banking system. Of course, these diplomats might be more clever than yours truly in creatively moving funds and drugs across borders, but one wonders if in the interests of criminal success, it would behoove the DPRK authorities to employ less visible drug dealers than North Korean diplomats, who like many officials, may have very varied and limited facility in the local language, and who are also very racially visible in Eastern Europe. Whatever these diplomats may or may not be doing, they were most likely not selling drugs “on the street” as Fisher has (jokingly?) suggested. Working on psychoactive substances requires researchers to navigate moralizing discourse and hyperbolic claims. Such careful inquiry is doubly necessary when working on North Korea and drugs. At this time, it seems a little premature to declare whether North Korean diplomats are involved in state-sponsored trafficking of illegal substances. Furthermore, even if they are involved in illegal circulation of problematic commodities, closer examination would be necessary to determine whether the state is actively involved, or if such trafficking represents the self-interested acts of officials or private individuals. Ultimately, this is possibly a case of a thin story that was not problematic when it was published in a major South Korean newspaper, but became more important in North Korean eyes when it was picked up by a blog arm of a major U.S. paper. The gaps in the report remain the same regardless of which paper/paper’s blog publishes it, but from the perspective of the North Korean state, the significance of those claims do vary depending on the platform. The furor in this case is most likely less about the truth concerning drug dealing diplomats and perhaps more about North Korean strategy vis-à-vis US international power. This well constructed debunking of North Korean drug dealing to undermine democracy provides strong support for the alternative proposed by Homeland Security mavens — it is Al-Qaeda. If it is true, maybe they see some reason to follow in the footsteps of the U.S. government. Yes! I see this phenomenon at play when I am sitting at the dinner table with my family. We watch ABC news almost every night and when a the newscaster mentions North Korea (it happens a couple of times a week nowadays) everyone at the table stops eating and listens with rapt attention. Time to rent “The Mouse That Roared” and put it all back in context. LOL. I think we’re all missing the point here: obviously, Saeyoung pissed off North Korea. Have a safe trip back from SD, Saeyong. Great post! I’ve really liked what you’ve posted lately.